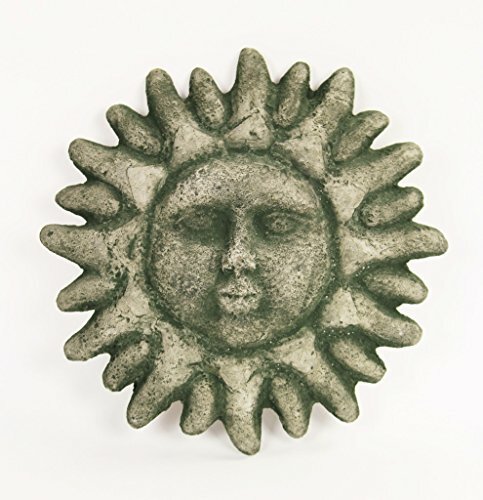 This Ornamental Sun Wall Plaque and each one of our concrete Garden Ornaments are hand made in the USA, using our secret poured concrete formula so each piece resists all weather climates. Our craftsman use acid stain formulas to bring our statuary to life with unique colors like this cement Sun wall plaque. If you have any questions about this product by Fleur de Lis Garden Ornaments LLC, contact us by completing and submitting the form below. If you are looking for a specif part number, please include it with your message.